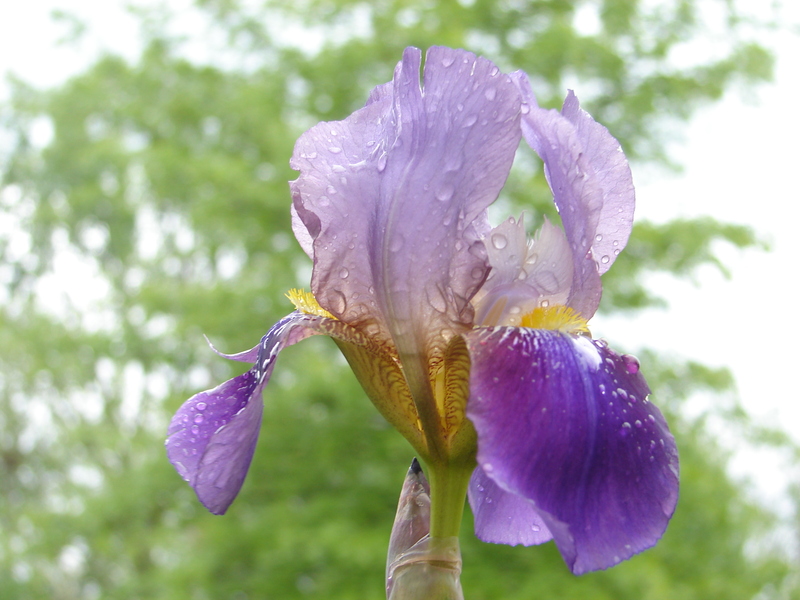 This Iris represents emergence…new life about to unfurl. Yes, this photo was taken in cooler days before the shadow of the sun reached its Solstice. Obviously, I live in the northern hemisphere and summer is well on her way. I like nature…a lot. The beauty which surrounds me often overwhelms me. And, when I gaze upon my fellow bloggers sites and view wonderful posts, and look at photos my family or friends have taken at places I have yet to venture to, I am amazed. I find beauty whether I am in my backyard, at a city park, in the desert, among wheat fields, and especially near mountainous regions with crystal clear streams and glistening lakes. Funny thing, but this post isn’t so much about nature. Actually, it is more about how it makes me feel. I would have enjoyed meeting John Muir and Ansel Adams. Oh, how they drank in their surroundings as they completely immersed themselves in their chosen environments. They were driven by a force I appreciate, and which continues to develop within me. Although I have not physically uprooted myself and journeyed to the wilderness for lengthy periods of time, my soul has. When I step out onto my deck in the early morning hours-before the sun has risen-I feel a sense of wonder that can only be satisfied by absorbing my surroundings through all of my senses. Then, when the first rays of sunlight filter through the trees, I marvel at the sparkling dew-laden grass, and feel the warmth of the rays touching my skin. I hear the song of robins and watch squirrels chase one another. I feel the breeze wisp through leaf laden branches and witness ants traversing the deck railings down to their home. Carson sniffs where a rabbit had laid and a hawk circles above looking for him. I return inside to prepare for what awaits me at work or whatever I need to do this particular morning. I am not the same, though. Inhaling nature’s grandeur-even in my backyard-fills me with appreciation and gladness, and a sense of peace comes over me. Then, I thank God.